Arguably, the need for sophisticated mail has never been greater. Customer retention has become a major issue, with todayâ€™s multi-channel environment making it easier than ever for consumers to switch brand allegiance. Consumers are acutely aware that the balance of power has shifted in their favour. It is an accepted mantra that attracting new customers costs more than retaining existing customers, and suppliers operate knowing that bad service, or even perceived bad service, is more likely to be met with defection. Today, businesses of every size are realising that intelligent marketing to existing customers can have a profound impact on customer retention and customer growth. High volume prospecting activity has given way to tailored, targeted communications to existing customers â€“ the first line of attack in the battle to stem customer churn rates. Building a relationship with the customer via the mailstream, therefore, is becoming an integral part of any business proposition. You need to make sure there are solid IT management systems in place first, however. To maximise the effectiveness of these customer communications, it is necessary to integrate them with the appropriate business processes they connect with, however disparate these processes may seem to be. It is the integration of key business processes and their related information streams into CRM that defines and drives Customer Communication Management (CCM). CCM harnesses the power of specific business processes and ties them to the CRM initiative – in order to create, develop, manage, and maintain more effective customer communications. CRM is fundamentally customer facing and outwardly focused. CCM takes this to the next level, by capturing the external customer information and linking it to internal business processes in order to create a more comprehensive picture of the customerâ€™s behaviour in relation to the company. The goal is then to stay in repeated contact with customers via a continuing stream of out-bound messages that are highly targeted to individual needs and structured to facilitate easy payment or customer action. But, with so much channel-choice available, is mail still a viable channel? Undeniably, yes. The EU Directive on Privacy and Electronic Communications, in tandem with local telephone privacy laws, places increasing limitations on unsolicited prospecting. Mail, however, is often seen as a non-intrusive and valued means of communication by both businesses and consumers. Whatâ€™s more, response figures remain steady. Any fears about email displacing mail have long since been dispelled. Contrary to popular belief, Internet users receive more mail than non-Internet users and the difference between the two groups is growing. The claim that a wired household is ripe for substitution is unfounded. Wired households include attractive consumers who will continue to receive mail along with other media from businesses eager to get a greater share of their wallets. CCM can uncover opportunities for lower costs and higher revenues both by developing customer relationships that are more rewarding in every sense and by streamlining business processes so they are less costly, more integrated and more effective. Put simply, CCM is directly focused on determining the best and most cost-effective way for engaging in a continual and profitable dialogue with your customers. Sophisticated data collection and analysis techniques are not enough. Businesses must ensure that this sophistication translates to customer-facing documents if the full value of the mail channel is to be realised. Great tips to consider when assessing your technology investments. Additional information to assist in creating a more-holistic customer experience on can be found at Intelestream’s web page, whitepapers section. CRM is a great way to increase the profitability for your business. It lets the businesses remain in touch with the customers and predict the current trends to determine their future needs. Good points on CRM investment. Very informative. 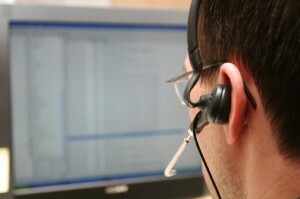 CRM is what we have been using here on our outbound call center company. It is what we have been using ever since. A CRM system is very important in this climate. CRM gives clarity to the businesses target audience and helps retain customers. CRM systems should be easy to use, and I came across salesjotter.com, this is a cheap and easy CRM software. Check it out! Interesting point… CRM is a key element of any successful business. It is a best way to increase profit of your business. It helps to maintain good relationship with existing customer. back-end process.we did it with workforcetrack.com. complete the data information and employee history. Great tips! Once the CRM application is already implemented and sales force are trained, I guess it is more practical to declare for the management that they will only pay commissions for sales if the contract is in the CRM program. i really liked your post and i have found impotent Tips over there. accordingly to me CRM totally depends open the company Environment. and there is one 1 organization name is Vieena Advantage is good for providing open source CRM services again thanks to u. A lot of companies still believe that CRM systems will solve their customer relationship problems. But the CRM systems are only as good as the data that goes into them, the intelligence extracted from that data and the tactical and strategical solutions that intelligence generates. Investing in CRM is never a waste. Business can gain many more profit through CRM tool. Recent day it has come with new interactive features to gain customer. Some great points on Customer Relationship Management, thanks for sharing. Measurement is an essential part of CRM.It permeates much of our marketing vocabulary—customer satisfaction level, customer lifetime value, customer retention rate, customer acquisition cost, etc. Hence every organization needs a dealer lead CRM software to maintain customer relationship effectively. I think that return on investment from CRM systems is obvious. Nowadays the most important object in business is data, therefore it’s vital to store it.